"Standing in a Library, Commencement ca. 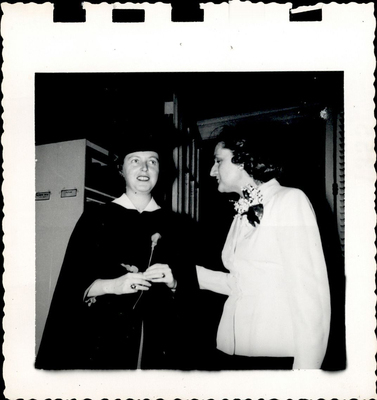 1940s - 50s"
Two women stand together in a library (likely Livingston Stebbins Library) during commencement. One woman is adorned in a black cap and gown, holding a flower; the other wears a white dress with a flower brooch.